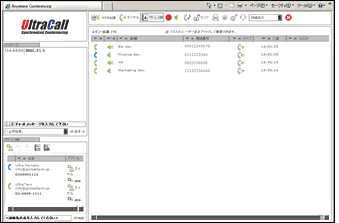 Online Use - Global TaNK Co., Ltd.
Our previous Web Console has been replaced by a new system called "UltraCall Lounge". 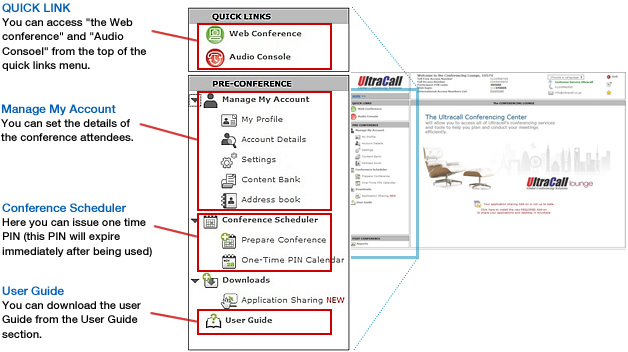 With UltraCall Lounge, you can control conferences, conduct web conference sessions, manage your account and set schedules. The web console is an audio conference management tool exclusively for moderators. The use of web console feature is free of charge. Taking attendance :Keep track of participants visually displayed on the screen on real time bases. Invite Participants :Send participants conferencing details with your regular email program. Dial-out Feature :Call participants from the system, either individually or by group. Recording Feature :Includes a way to keep meeting minutes for future reference. The use of recording feature is free of charge. Up to 10 conference records can be stored for max 90 days. Only when the playback feature was used, service charges will be applied. Chat Feature :Chat with participants, if desired. Your messages can be saved as a file. Security Feature :To keep your conference secure, lock feature is available. Conferencing can be locked to prohibit others from joining. 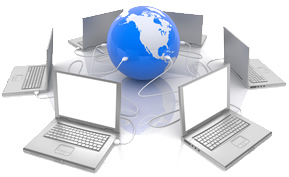 With web conferencing, you can easily share files, applications, and desktops. Whiteboard functionality is also provided, which can be tailored to the needs of the meeting. No need to install software?only a browser is required. The same security feature is provided as with a console. The use of web conference service is \18/min./number of access.